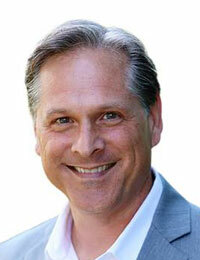 Jeff Severson owns Money Mailer of Northern San Diego a leader in direct mail marketing. 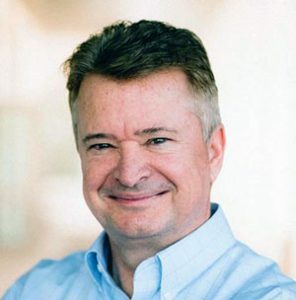 Severson is a dedicated marketing veteran with over sixteen years of experience working for large advertising agencies, spearheading a number of experiential and multi-facetted campaigns for a wide variety of well-known brands including Gillette, PlayStation and Animal Planet. According to a recent study by eMarketer, print coupons are still king, as almost 80 percent of U.S. internet users who were polled said that they use paper coupons. As small businesses continue to seek out the most effective ways to drive brand awareness, bring in new customers and increase sales with existing customers, Money Mailer of Northern San Diego is eager to partner with local businesses in the North County area to help them boost their bottom line. Money Mailer offers local businesses a unique portfolio of marketing solutions to reach consumers in the mail, online and on their mobile phones. The Money Mailer mobile application, which is available for iPhone and Android users, allows consumers to access endless coupons in just two quick finger taps. Jeff grew up in Oceanside and cares a lot about our community. As part of his effort to help the local community Jeff is starting a new program offering free ads for local charities in his mailers. Contact Jeff at 858-276-8775 or visit his website for more information. 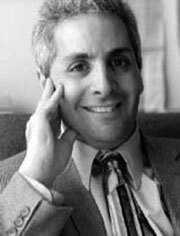 Since 1986, Michael J. Herman known as “Mr. Motivation” has been motivating and inspiring the world, first as a television sitcom writer-producer, but he has operated his company Third Eye Communications since 1986 with 13 years of growth to show for it. His unique style of leadership has been called “Extraordinary” by CEOs like Bob Crandle of American Airlines, and Jill Barad of Mattel Toys. His leadership mastery stems back from his own motivational strategies developed when, as a five-year-old boy, Michael suffered a traumatic brain injury, resulting in paralysis, aphasia, and total blindness. Though it took more than 13 years, Michael’s obstacles seem minuscule when compared with the achievements he has amassed. Michael has authored 14 books, penned and published more than 7,600 articles on more than 60 topics in more than 200 publications around the world. 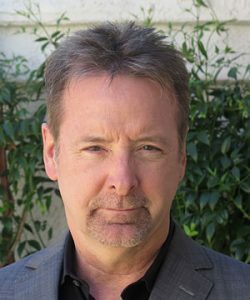 He has won more than 60 awards for writing/publishing and speaking, been identified by the Los Angeles Times as “The Next Big Thing!” and by USA TODAY as “Mr. 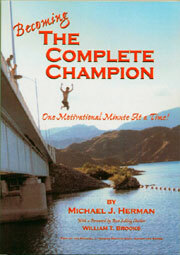 Motivation.” Now Michael J. Herman, “Mr. Motivation” travels the world motivating, inspiring, and entertaining audiences on the topics of Motivation, Inspiration, Leadership, Positivity, and Success. 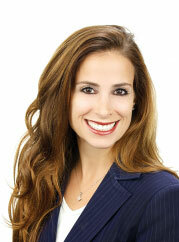 Since 2005, Karie Kaufmann has helped over 500 business owners and executives achieve their goals and take their business to the next level. 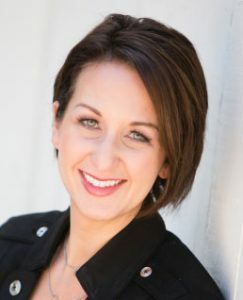 Her clients have achieved double and triple-digit growth in profitability, accomplished through improvements in sales, marketing, team training, systems development, and strategic planning. As both a Gazelles International Coach and an ActionCOACH, Karie belongs to a network of over 1,000 business coaches in 64 countries. With this network of brain power, along with her M.B.A., Bachelor of Science degree in Business Marketing, and over 10,000 hours of coaching experience, Karie is skilled at breaking down complex issues into simple steps and has the tools to help her clients succeed. Her program is to help you reach the goals that you set out to achieve when you started your business in the first place. Karie’s YouTube channel has multiple videos of her coaching advice. Karie and her husband, Scott, are the parents of two you children, Kenzi and Cole. As a family they are active in the community, having served together on the board of Kids4Tech and volunteered extensively at Boys & Girls Clubs of America. How does the new tax code section 199A affect your business? Richard goes into detail with Don Eppich and Paul Polito about the section 199A rules. Don Eppich and Paul Polito are founders of Polito Eppich Accounting which specializes in accounting services for businesses generating revenues from $500k to $150 million a year. Polito-Eppich provides the highest quality forward planning services, giving businesses and high-net-worth individuals clear, actionable information that helps them achieve their goals. Their team brings to the table more than 100 years of collective business expertise, offering all the compliance, audit, tax, and other accounting services you expect. Paul and Don discussed the new code section 199A rules and how they apply to S corps, C corps and LLCs. 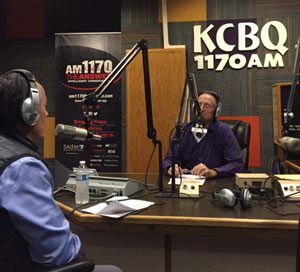 Richard welcomes cold case detective Robert Condrad to discuss his investigations in to cold cases and how DNA technology and advances in DNA testing have advanced the solving cold cases. They also discuss the Helen Roscoe case, still unsolved, which has surprising personal ties to Richard. Robert (Bob) Conrad was born and raised in San Diego. After a career in Navy he joined the Chula Vista police department in 1969 and retired in 1995 as a Sergeant and Detective. He was brought back in 2001 to work cold cases. Since then, he has helped solve the previously unsolvable, including the 1991 Laura Arroyo case involving the slaying of a 9-year-old girl. The Arroyo investigation and his probe into the 1995 murder of Pamela Shelley were featured on A&E’s “Cold Case Files.” He also solved the murder of Anita Marie Carrier, Conrad’s first homicide case as a young detective. Conrad is quick to attribute the ability to put many of these cases to bed to good laboratory work in which evidence was collected and preserved well. “Good lab people — that’s important” he said. Updated methods of DNA identification and fingerprinting help him solve cases that chilled years ago. Likewise, detectives who worked on the cases when they were fresh also play a hand in later success. Richard welcomes Richard Matsey and Jacob C. Chaparro of Zenith Investment Management to discuss the evolution of the wealth advisory profession, from stock brokerage to present-day independent and objective advisory. Richard Matsey, CFP®, Vice President and Lead Advisor of Zenith Investment Management LLC, a $15M RIA based in San Diego, CA. He is an award-winning leader with a distinguished record of achievement in sales, trading, and operations. His extensive career spans over 30 years where he performed leadership, supervisory and production roles with TD Ameritrade and Charles Schwab. He has received numerous awards for excellence in leadership, customer service and sales throughout his career. 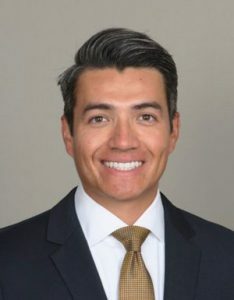 Jacob C. Chaparro is Zenith Investment Management President and CIO. In his role, Jacob oversees the implementation of all Zenith’s investment programs alongside managing the day-to-day business operations and activities. Prior to Zenith, Jacob was an Investment Consultant with TD Ameritrade where he was responsible for 400 households that represented approximately $620 million dollars in total assets. He was also previously an Investment Representative with Fidelity Investments. During his tenure with TD Ameritrade and Fidelity, Jacob largely worked with high net worth clients in trading, investment management, and financial planning. 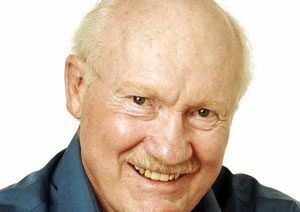 Fred Dickey, a popular columnist for the San Diego Union-Tribune wrote about “ordinary people” with compelling stories in his Monday column “The Way We Are” for 5 years. He is a former top editor of major metro newspapers, a novelist, and a Pulitzer nominee. 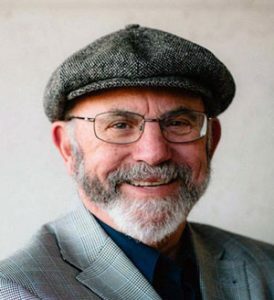 He has served as Sunday Editor, the San Jose Mercury News; Executive Editor, The Anchorage Times; Editor, the Oakland Tribune; and as an editorial manager of the San Diego Union. He has been a published novelist and a prolific magazine writer. 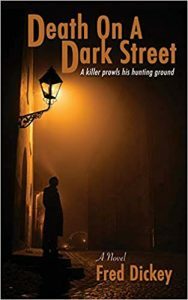 Fred’s new book, Death on a Dark Street, about a serial killer stalks the grim streets where the homeless put down their sleeping bags. These are life’s castaways, crippled by addiction, mental illness or just massive bad luck. It’s a fertile hunting ground for a serial killer. 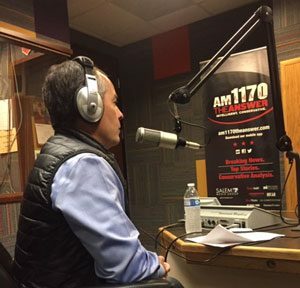 Ken Ruggiero joins Richard for an in-depth discussion of the increasing burden of student loans on college students and their parents. Ken Ruggiero, the founder of Ascent Student Loans, has more than 25 years of management, finance and business development experience as an integral part of management teams that grew companies in fast-changing environments. The Ascent program is the culmination of decades of work and data analytics. It is designed to keep the student at the center of the conversation about which school, which major and how do I invest wisely in my education. The Ascent team works with applicants to understand how their selected institution, degree program and job dream/future plans may impact potential earnings and loan repayment. Ascent is making the loan process personal by guiding “can you afford it” conversations – early in the process – to ensure there are no surprises with a negative impact. Joel Bash & Company specializes in introducing quality professional people to each other to open the doors and create opportunities. He offers a system of business development that constantly produces people that have the ability to refer out a large amount of business to others. 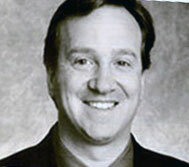 Joel Bash started the Beverly Hills Business Organization and ran it from 1985 to 1994. The organization grew and enabled me to form good relationships with thousands of quality people. Today, he personally knows over 16,000 Professionals. He has developed an expertise for introducing people to one another and has found it to be essential in the business world. He has a system of business development that constantly produces people that have the ability to refer out a large amount of business to others. He basically sets up one on one meetings with people, that he knows personally, that indicate that they are definitely able to refer out the specialty of business that my client performs.